For me, there is nothing quite as daunting as a looming deadline. That moment I have to hand my book baby over to my publisher even though I’m not ready to give it up. That moment I know it’s the last time I’ll see it before it goes to print. My first book was the hardest to release. I prayed over it, hoping with everything in me that it was right and good and entertaining and un-put-down-able. That it would survive out in a world where people toss around one star reviews like confetti, often forgetting there’s a person behind the title and cover. Since then I’ve learned that many of my fears were unfounded. I often get emails and messages from people who tell me how much they enjoyed a book. There are a lot of precious and supportive reader friends out there. And yes, I’ve had one star reviews, but I’ve also come to the conclusion that I can’t please everyone—a good life lesson. The One I serve is the One who matters. And so once I’ve written a book and sent it out into the world, I try not to read reviews. I know at that point I have given my all to a book, and it’s time to let it go. But before I send in a book, there are a few things I do (besides hope and pray :)) to ensure that I’m releasing my best possible work. 1. Print the manuscript out. This might cost you some paper, but it’s worth it. There’s something about seeing the words in print that allows the eye to catch phrases or words that are repetitive or not working well together. It can also be easier to flip back through the pages and check on a question or phrase than it is to scoot back through an electronic copy. I can leave myself notes and questions in the margins or highlight what might be a concern so I can come back to it later. 2. Take a break from the book. If you can find any time before the book is due to set it aside—even for a week or two—and then come back to it before your final editing, take advantage of this. By the end, before I hand a book in, I’m over it.I’m so done with the book I don’t ever want to see it again. But by the time it releases, I’m happy to see those characters living in print. Edits are the same way—we get bogged down in minor details, and we’ve read the same thing over and over so many times it’s like white noise. If you can step away from the book and come back to it later, you’ll see things with renewed eyes. 3. Listen to the book. I usually just highlight one page at a time and listen. It’s a monotone voice, which I don’t mind because it eliminates the emotion and helps me to simply hear the words. Listening helps me catch words that are spelled wrong or missing a letter. Sometimes I’ll even hear that I’ve used a similar word to the one I was thinking of, but it is in fact the wrong word. You might want to quit halfway through listening to the book because it’s a time commitment. (I read so much faster than the computer reads to me.) But I have never regretted taking the time to listen to my book. I’m always amazed by what I catch. 4. Search for double spaces after a period. This one is easy-peasy and quick. Just open the find box in Microsoft Word and type in a period with two spaces after it. It will pull up any spots that you accidentally have two spaces after a period and you can correct them. 5. Keep a list of your overused words so you can search and destroy. This part can be draining because it’s tedious, but it is so worth it. Your overused words might be different for every book, but if you give yourself some space and then read through it, (or listen to it) you will find them. (You can search to see how many times you’ve used a word in the “find” box in Microsoft Word.) I’m not talking about “and” or “you” here. I’m talking about words that are unique to your writing that are being overused. Or motions that you have a habit of using. Like raised eyebrows or sighs. I keep a list of my most overused on my computer and they usually pop up in each book when I look for them. 6. Know when to quit editing. I confess—I never feel truly ready to hand in a book. I wish I did. But I can be a bit of a perfectionist, and a book will never be perfect. Sigh. So it’s hard for me to hand a book over to my editor. I look for two signs to help me know when I need to stop editing or messing with a book. When I’ve worked it over so many times that I’m beginning to change things (again) that I’ve just recently changed. And when I’m making things worse instead of better. That’s when I say a prayer, hit send and release my book baby. I’d love to hear your editing tips—do you have any favorite things you do before sending off a book or manuscript? 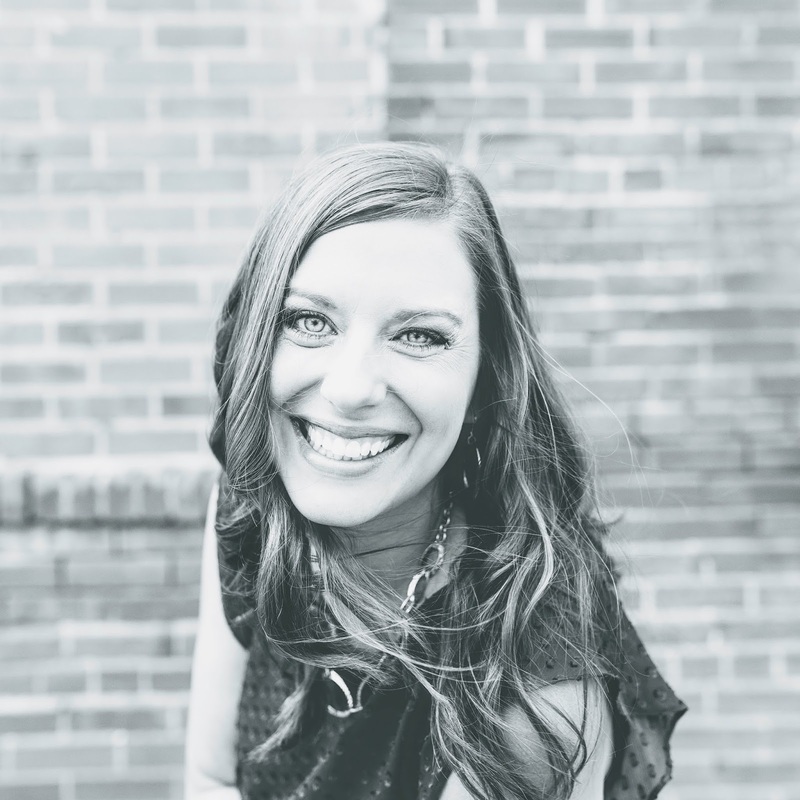 Jill Lynn writes small-town happily ever afters filled with humor, grace and faith. She lives near the beautiful Rocky Mountains with her husband and two children and can be found online at Jill-Lynn.com or on Facebook and Instagram @JillLynnAuthor. 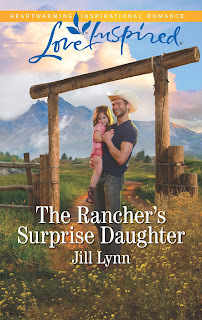 Her latest release, The Rancher’s Surprise Daughter, is available now. Luc Wilder’s surprised when his ex-girlfriend Cate Malory arrives at his Colorado guest ranch. And he’s downright stunned when she introduces him to his three-year-old daughter, Ruby. Bonding with the bubbly little girl is easy—Ruby loves ranch life, just like her daddy. But after all the secrets, can Luc and Cate find a way to trust in each other again? In addition to the editing suggestions you've made here, I have two more I find very helpful. 1. Always read your copy out loud on the first edit. If it is hard to read out loud, then it has problems. Make it easy to read. 2. As a good last edit, convert your manuscript to Kindle format (Scrivener can do this) and then read the book as if you just bought it. The Kindle screen will look just like a published book making any mistakes seem to be much more glaring. You don't expect to see mistakes on published books so when you do see them they really stand out. BTW: Could you give a little info blurb on your book? I assume it is a hidden child theme. Also, does the hero have a beard or not? Vince, I love the idea of reading the manuscript on a Kindle/e-reader! I've done that before and it is very helpful. Also, I'll go add a blurb! Thanks for mentioning it. I've done that, Vince, and it does help! Jill, what good tips and a good way to start my writing week. I'm a huge fan of stepping away from things and coming back with fresh eyes. Sometimes it's for a day, sometimes a couple months while I work on something else. I'm also a fan of search-and-replace. My day job is in journalism and there's a completely different set of style rules (abbreviate "Reverend" as "Rev. ", the double spaces after a period you alluded to, using "9" instead of "nine" or whatever. I slip between styles with depressing regularity, so find-and-replace is one of my best tools. I also print stuff out, but I do it during the process rather than just before I submit. You are right about the reviews. We have to remember Who we write for. I'm pre-pubbed right now and trying to figure out where reviews stand in all of this. Should I even read them? It's not like my publisher is going to take the book back if it gets a poor review. Or maybe that should be "give the book back." Someone thought enough to publish it in the first place. Or can we learn from reviews??? On the fence here, but positive about a bunch of other stuff. Kathy, that would be tough to remember which format you're supposed to be using if you're going back and forth every day! Yeah, and this doesn't even count them messing with the Oxford Comma. I think my brain just froze up at that kind of detail! 😘 I'm impressed! Thanks for these great tips! I think one of the most important ones (if you can manage the time) is to get away from the manuscript for a while. It can make a huge difference in objectivity! Jill, so nice to see you here! I love tips on how to clean things up, how to put the polish on. I think that's one of the hardest things for new authors especially, to see the tiny things that really make a difference to editors. It's hard to know how to polish if you can't see the problems yet. And once folks pointed them out to me, what a huge help that was. I was able to spot them then... and that helped me sculpt my stories better. Ruthy, that's so true. I think I'm better now at spotting problems with stories. You're both right. As we mature as writers it doesn't become easier, but WE become better. As your knowledge expands arithmetically, your awareness of what you still need to learn grows geometrically. In other words, the more you know, the more you realize how much more you have still left to learn. thanks for these great tips. I try to do them, but often forget to check for double spaces after periods. I try to read my work outloud to myself, but was not aware the computer could be the one reading. I don't have Word because I can't afford it. Instead I use Libre Office. I will have to see if this feature is part of it. Perhaps I'd catch the stilted conversation easier. One of my dear friends at church asked If I'd written more to the first 15 pages she read before I turned it in for a contest in March. She's wanting to read more. Hopefully that is a good sign. One thing I do is pay attention to what is said when critiques make suggestions and apply them not just to that section but in all of my work. Wilani, "pay attention" is such good advice. Sometimes your critique partners or contest judges really do know better. I tend to adopt the "two out of three" principle -- and if it's a really big change, to pray about it. The editor for my contracted novel asked for two major changes before they even offered a contract. I mulled them, prayed about them, and decided the changes didn't harm the core of the story. It's all about making better books, isn't it? Wilani, I think that's a really good sign! That's a great way to look at it! Very wise. My kindle reads my documents very well. I even have choices in dialect. I listen and follow word by word. Yet constant tweaking/editing always manages to leave some typos there, but listening and reading out loud is so important! I find that editing on paper And editing on the Kindle tricks my mind into seeing things differently from the usual 'screen time' reading. Kindle allows me to highlight words in different colors: things I want to delete, spelling errors, punctuation fixes and I can add notes. I then have to manually make the changes on the ms but it's been very helpful. Have a great week, everyone! Debra, is didn’t realize my Kindle could read to me! Or is it certain ones? I’ll have to check my new Paperwhite. Jill, this is a great post. I have finished writing my first novel and am now trying to get back into it. I have a long way to go before final editing, but these will be helpful. I just added that speak feature. Thank you for the link. I wasn't aware of it. My dog does not like it, however. I just tried it out after installing it, and my dog apparently thought it was an intruder and went into protective mode! I guess I will have to be far away from the dog when I am using it! LOL! I can just see my dog doing the same thing! Hi Jill! You've given us some great editing tips! The only thing I would add is that after you're all done, your editor has the final copy, and there's nothing more you can do...don't continue to worry about the one or two errors you miss. And you will miss them. I remember when I got the author copies of my first book. So exciting! I grabbed a copy and sat down to read it...and saw an error on the first page! I was mortified! But then (much later) I realized that no one was going to notice that except me, unless I pointed it out to them. Your tips give us practical advice to do due diligence, so thank you! I never read books after they are in print either!! I don't read my books in print either...unless I'm going to do a book club event. Then I read the story so I can remember all the details. By the time a book hits the shelves, I've written two more books. Names and details from the various stories get mixed up easily. Great list of tips, Jill! I'm slightly OCD too. So is my character Cate in yhis book! You know, this is something I never have checked for! Usually grammar check will find unusual spaces. Thanks so much for this great post! I just started editing my first completed manuscript (yay!) and found that printing out the entire book and then editing it from there is WAY easier than trying to do it on my computer screen. I`ve always liked doing things "old school" so that if my laptop battery dies or there's a power outage, etc. I can still work on my documents with a good old piece of paper and pen. Lee-Ann, I really like to do at least one or two printings to do a read-through. I see so much more! Hope the editing goes well! JILL!!!!! My favorite dancing partner! Have you recovered from conference? I think the fog has finally left my brain. Tip #1 - Yes! I have to do this because there are things I see on the written page that I miss on a computer screen. Not sure why my brain works that way, but it does. Tip #2 - Agreed. Just like we sometimes need a break from our loved ones (you know it's true), we sometime need to step away from the book. Let our minds rest and concentrate on other things. Or better yet, nothing at all (like that ever happens). When we go back to the book, we have a better, often fresher perspective. Tip #3 - GENIUS! Why haven't I thought of this. I often read aloud for same reasons you gave, but how much better would it be to have it read to me? I am so doing this. Tip #4 has never even occurred to me, but #5 is appropriate. Especially when I'm reading along and think, "Didn't I just say that same thing two pages ago?" And #6 is vital to our mental health. When I find myself literally mincing words, it's time to quit. Well, I wasn't planning to break down our entire post, Jill, but it was so good I couldn't help it. Hugs to you and congratulations on the new release. I can't wait to read it. That cover is gorgeous. I didn't know to do any of this!! Loved your tips! If I have time, I insert the hard copy of my manuscript into a 3-ring notebook and read it that way. I use the blank, back side of the previous page to make notes or for scene additions. Even if I don't use the binder, I always print off a final copy for hubby to read and I read through it once or twice before submission. Also I sometimes change from print view to web view when reading on the computer, which provides a different look. Anything--like changing the font--to allow my eyes to catch the typos and errors. I must get the "read aloud" app you mentioned. Great idea, Jill. Thank you! What a great tip to make changes from the end forward! That makes total sense. I submitted a book on Thursday and checked the manuscript prior to submission for contractions, which my Amish hero didn't use in his speech. The process was tedious, but I found a lot of errors and was thankful I had taken the time to do the search. Debby, that's not something I would think to check! I'm so glad you did think of it. Congrats on finishing another book!! You amaze me! I am currently doing edits now on a book I wrote about five or six years ago. I was reading along and caught one paragraph with three different sentences containing "just." When I did my search, I think I had used the word about 300 times in 200 pages. Trying to eliminate some of those now as I go along. The publisher who just gave me a contract for my second book (yay! Coming out in April) actually requires us to read our book aloud before it goes to print. Great advice. Just is a stinker word. It gets in my books a lot! Amy, contrats on the new contract!! "Just" is one of my overused words, too. I'm terrible about using it because I use it in my normal conversation so often! Wow! 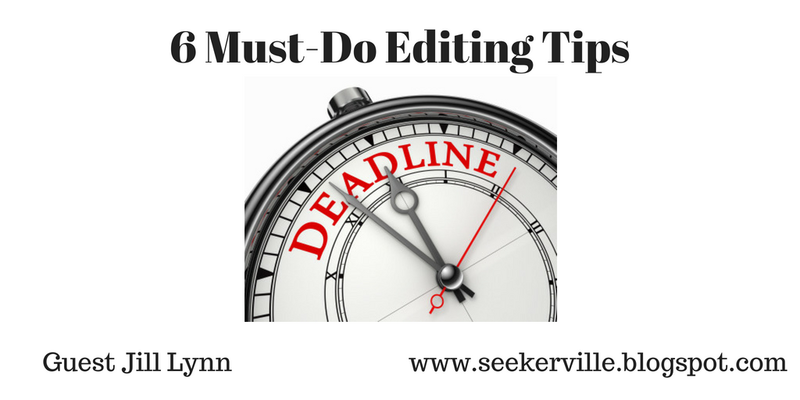 I don't have a manuscript to edit but you've given us some terrific tips for other tasks! Thank you Jill Lynn! Thanks! Hope writing goes well for you. Writing is hard work. Glad I am a reader. I know I'm really late, but I just had time to check in today. Great tips! Thanks so much! LeAnne, we're glad you stopped by! Thanks for the tips, Jill - such great ideas! Laura, we're glad you stopped by! I just added the Speak option and it's amazing! Thank you, Jill! I had no idea that Speak was available...and free! I'm thrilled and grateful for the tip! Good morning, Jill! Thank you for the editing tips! I ALWAYS print the whole thing out to read aloud and redline. I also have a "cheat sheet" of words that tend to get overused that I do a search on. I chase the double-spaces, as well. I think the only one of your tips I haven't done is the listening one done by another speaker--so I'm going to have to try that!! My "cheat sheet" was written for me by my cp Janet Dean. She is so good at spotting my weasel words and was generous enough to keep a list for me. I now have that in a file stored on my computer. It's so helpful! I'm so relieved to hear I'm not the only one who prints out an entire manuscript to edit! I feel guilty for wasting paper but try to convince myself it's not "wasting." As I read through your list with a "yes!" after each suggestion...except I haven't tried letting the computer read the ms back to me. And your last suggestion, know when to quit editing -- so true! Karen, when I print mine, I do it so that it prints 2 pages per sheet of paper, front and back. So I get 4 pages on one sheet of paper. Plus, though the print is small, it feels like a real book while reading! Karen--I've taken a day-long proofreading workshop for my day job and the pro's say you catch significantly more if you print it out to proofread versus reading the computer screen. Love these tips! Thank you for sharing them. I've never tried listening to my work before. Great idea. Glynis, I haven't either. I plan to try it. Printing out the entire manuscript provides me with a morale building sense of achievement that I don't get with just having a file on the computer. It also provides a hard copy for insurance against home disaster if you kept a hard copy in a different location. I also find it encouraging to have a printer spiral bind a clean copy of a non-published but retired manuscript complete with a businesslike professional cover. These early efforts (sometimes twenty years in the making) go on a bookshelf rather than under a bed or the bottom drawer of an old chest. It's as fi they are the children who didn't go to college or get a good job but you love them anyway. Abandoned writings are still a living part of us. Vince, I like that idea of binding the retired manuscripts. I have at least two that'll never be seen again because they were on old computers or on old floppy drives that can't be read now. Wonderful tips, Jill! Even though I'm not a writer, I can see how using these can help to make a manuscript even better and more error-free. My brain tends to pick up on typos, words not used correctly, words or phrases used too frequently, etc., so I really appreciate authors who go the extra mile to make a book as great as it can be. Something else that can help is having a fresh set of eyes read the manuscript. Someone skilled at picking up errors can read the manuscript and pick up things that the writer might miss. I love your books, Jill! I need to catch up on some I haven't read yet. I'm super late to this party, but I appreciated your tips, Jill. Especially what you shared about the benefits of listening to the book and knowing when to push Send. Such great suggestions! Love your tips. I especially like the computer read the book to you one. Will have to try that sometime. I am day late here, but I am bookmarking as I have a novella that needs editing. Thanks for the fantastic tips! One thing I do is read each line backwards. What you're reading won't make sense, but it does help you catch those words that spellcheck missed or you missed when reading the book out loud.